Contact us to enquire about availability and pricing. We have developed teaching styles and strategies to help fast-track people on to the road of good health and sustainability through fun workshops which mix theory with hands-on practice delivered with good humour and genuine passion. See the upcoming courses calendar for a full list of course dates. These usually run for two hours but we can do shorter versions. Many if not most common urban weed species of Melbourne are edible and can provide valuable and nutritious fresh food. Learn to enjoy dandelion, sow thistle, mallow, amaranth, wild onions, wild celery, stinging nettle and many more (with seasonal variation). 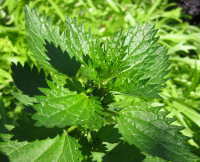 Many weeds are used by health practitioners for their curative properties. Learn too about some of the ecological uses of weeds as soil improvers, soil indicators and compost additives. (See also Adam’s weed hunting book The Weed Forager’s Handbook). 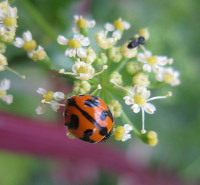 Come on a micro-safari and be introduced to the many creatures that inhabit your garden, from wondrous soil microbes, to problem and beneficial insects, and beyond. 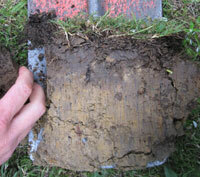 Learn about the life of your soil and how to care for it. How do we invite in the good insects and other natural predators so we can garden without sprays? We’ve collected some spectacular footage from our own gardens to make this course a visual feast. We’ll help you turn your backyard into a balanced ecosystem. Would you just like to get to know your garden soil more intimately? 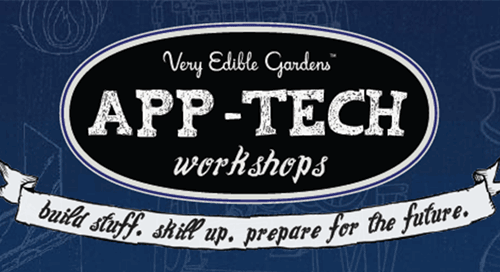 In this workshop you will learn the basics of what constitutes soil, and how to improve it. You can bring some of your own garden soil along as we pull out the microscopes, pH kit and use our fingers to help you investigate your soil for structure, pH and biology. We also cover dealing with contaminated soils, and general strategies for good soil including mineral and organic fertilisers, compost and worms. Drought is no longer the exception, it’s the rule. But in the city we can still grow much of our own food through water efficient planning and gardening. Topics covered in this two hour session include garden design for shelter from hot sun and winds, tank solutions, how to water at the right times, irrigation systems, working with slopes, greywater systems, water-hardy plants, and some innovative water saving solutions such as ‘wicking beds’. Covers the basics of everything you need to know to grow abundant healthy food despite water restrictions. Learn the art and science of how to team with worms and microbes to turn waste into rich organic topsoil — the cornerstone of organic gardening and ultimately human health. 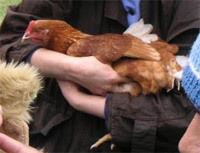 The session includes all theory you’ll need to deal with most common problems, and then hands-on demonstrations on compost making, and how to set up and maintain a worm farm. These are usually one or two day affairs. Permaculture is a broad design system for building sustainable human habitats, drawing inspiration from patterns in natural systems. 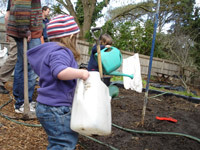 Topics covered in this course include context and an introduction to permaculture ethics and design principles, illustrated with topics relevant to home food production and frugal resource use, such as garden design, water catchment and use, urban animals, companion planting, caring for soil. Includes case studies and design examples. 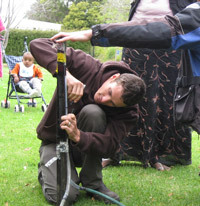 Hands-on activities include marking out contours on slopes and making a good compost pile. The course material is broken up with illustrative games and group work. Participants receive a handout covering all the topics on the course and a certificate of completion. 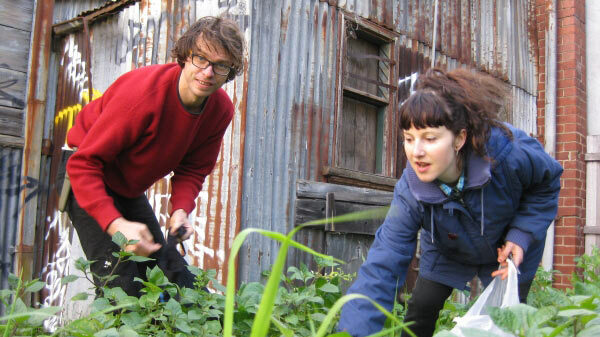 The course caters to backyard permaculture but also encourages people to look outside the home for opportunities and resources in the community, to visualise how we can create a healthier and happier urban environment. Also information about how to get involved in the Permablitz network. With Carolina Cordeiro. Learn about probiotic and living raw superfoods. A totally fun-filled and hands-on day in the kitchen learning the art of sourdough bread, the microbial magic of sauerkraut and real pickles, yoghurt and kefir, fresh cheese, how to grow your own sprouts, the ancient secrets of essene bread, and even green smoothies. Your body craves these foods which taste so good you’ll never want to eat junk food again. A very healthy and delicious lunch packed with living enzymes is shared, and participants can take home living cultures to help them get started. Everyone it seems wants to get started growing food, and most people want to do it chemical free. But where to get started? 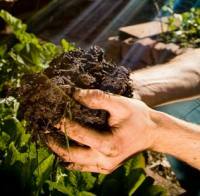 This course covers the basics of soil, waterwise gardening, companion planting and natural pest control, compost and worms, heritage food varieties, no-dig gardening, how to plant and propagate from seed, and how take those very first steps. A weekend workshop focusing on all the bases that need to be covered to create a thriving green business doing good stuff for the planet while creating meaningful livelihoods. This is not something we’ve run for councils, however we have had councils sponsor community leaders to attend. Check here for latest info. A well-run Permaculture Design Certificate can be the most fun and intense learning experience you’ll ever have in your life! It can change the very way you look at the world. It can help you develop a framework for thriving in a changing earth. It can help you learn skills to heal damaged landscapes, while producing for your own needs. For us it was all of these things. And now, after years of designing and implementing permaculture systems as volunteers and professionally, we’ve developed a unique new structure to make this PDC even better. 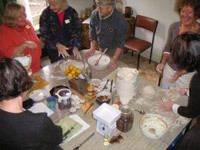 This is our flagship course but be warned – we unleash our unlimited passion and for many participants it is life changing – full details at pdc.veryediblegardens.com.au. Ok, courses are fine but nothing is rewarding or as educational as actually getting things done! VEG Directors Dan Palmer and Adam Grubb are co-founders of the global permablitz network. 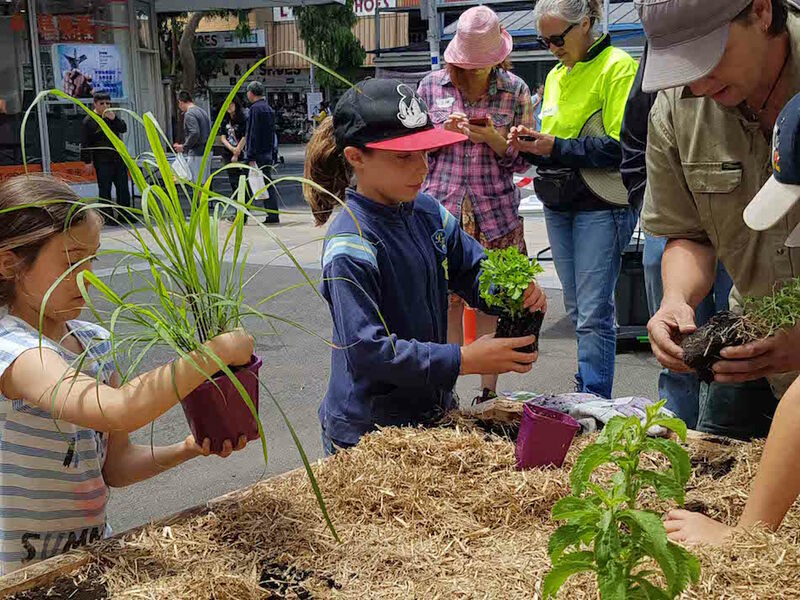 Permablitz is a network for edible garden makeovers mostly run by volunteers, but VEG sometimes runs similar events professionally for councils (such as through the My Smart Garden project). 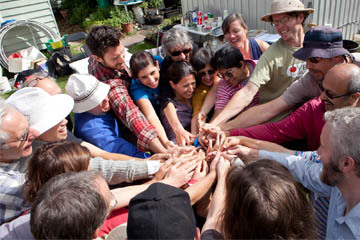 These are great ways to get people doing real, hands-on work while coming together as a community, building networks and sharing skills related to sustainable living. 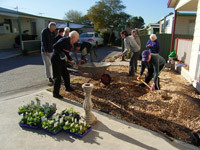 Part of the process for community areas is a facilitated design process, using the principles of permaculture. In the space of a 3 or 4 hours with a room full of people, we can tune into the wishes of the community, together survey the site through permaculture eyes, and make the first design decisions. We also specialise in wicking beds (see our site www.wickingbeds.com.au) which grow healthy vegetables with less water, making them great on nature strips, in malls, carparks and anywhere irrigation is hard to get to, or watering may be irregular. 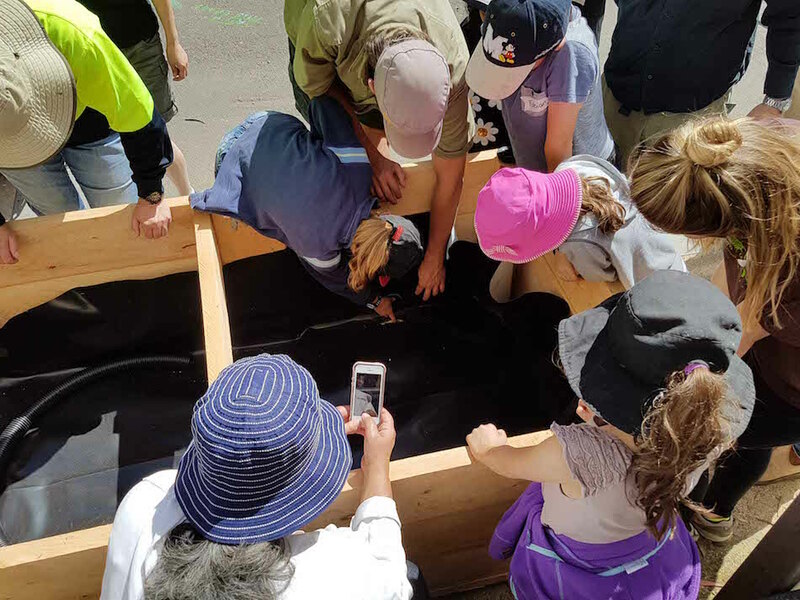 When we’re building wicking beds for councils, community gardens, schools or other community spaces, there’s nothing we like more than doing so with the community involved, sharing the knowledge along the way. It’s a win-win: for not much more cost than the bed install itself, we can share the whys, why-nots and how-to’s.